JAKFA, RDA jointly holds plantation drive at Makote Garden, Rajouri. 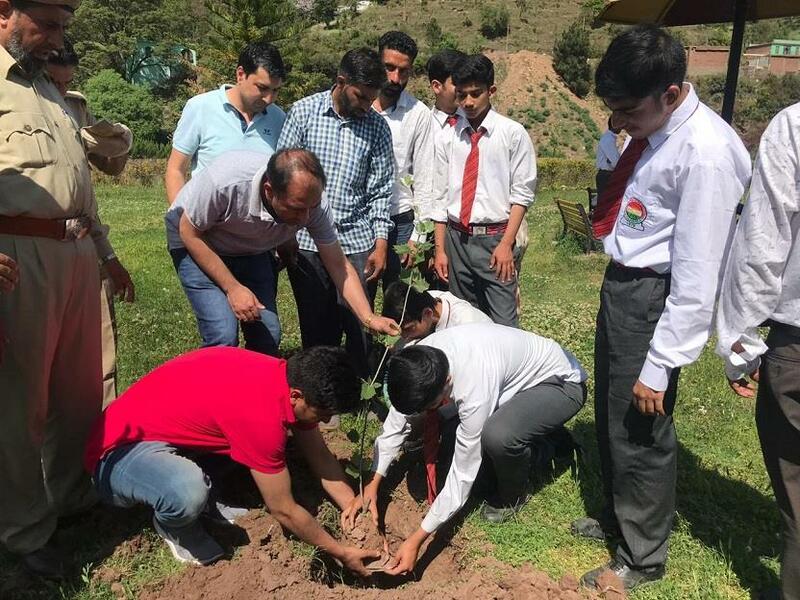 Rajouri:joint plantation drive under the banner of Jammu and Kashmir Accounts and Finance Association (JAKFA) was held today by District Treasury office ,Rajouri Development Authority (RDA) , Forest Department Rajouri and National Public School Rajouri at Makote Garden , Thandikasi. students and staff of the school along with officials of said departments planted saplings of chinar, guava bottle brush and other species in the garden carrying a message that plants are need of the hour and one must plant as much plants as one can.It was a successful drive and more than two dozens of saplings were planted. Mahmood, District Treasury Officer, Naveed Anjum, Asst. District Treasury Officer, Laquit Mahmood, Account Officer , Rajouri Development Authority,XEN, Rajouri Development Authority, Staff of forest department Rajouri along with students of National Public School took part in this historic event.